Day 1 of the 28-Day Face Cleanse from Burt's Bees Renewal Face Care Line. Did you know the skin renews itself every 28 days? Our friends at Burt&apos;s Bees challenged me to a "1D7yPD8" target="_blank" rel="nofollow">28-Day Face Cleanse with its Renewal Face Care line made up of Burt&apos;s Bees Renewal Refining Cleanser, Burt&apos;s Bees Renewal Firming Lotion, Burt&apos;s Bees Renewal Firming Night Cream, Burt&apos;s Bees Renewal Firming Serum, and Burt&apos;s Bees Renewal Eye Cream. Infused with a Hibiscus and Apple Rejuvenating Complex, Burt&apos;s Bees Renewal Face Care line is designed to work with our natural 28-Day cycles to make skin smoother and firmer, and reduce the appearance of wrinkles. 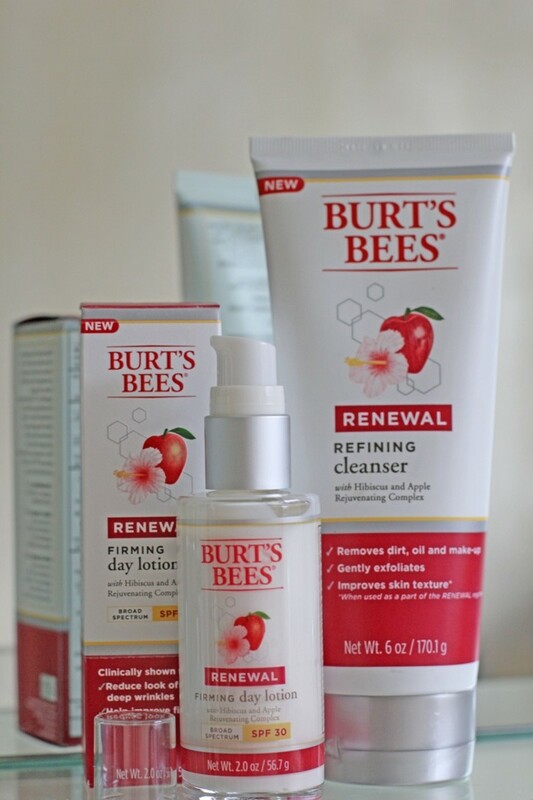 Two of my favorite products in the line are Burt&apos;s Bees Renewal Refining Cleanser and Burt&apos;s Bees Renewal Firming Lotion. The soap-free cleanser is 99% natural and has a little bit of texture for gentle exfoliation. It&apos;s perfect for cleansing and removing makeup. The day lotion is super hydrating and contains SPF 30, which is a must for me. The products have a pleasant smell of white hibiscus and apple, which combine to create a light, clean scent. 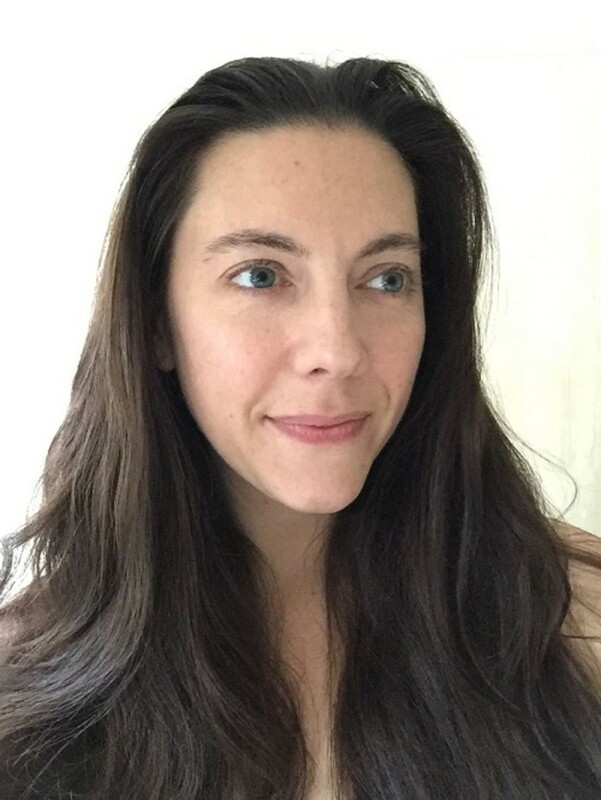 Follow along on Glamamom&apos;s Facebook, Twitter, and/or Instagram to see my progress with the hashtag #28dayfacecleanse. I&apos;m hoping for better hydration and more even skin tone. Hope it inspires you to take better care of your skin and take the challenge yourself. 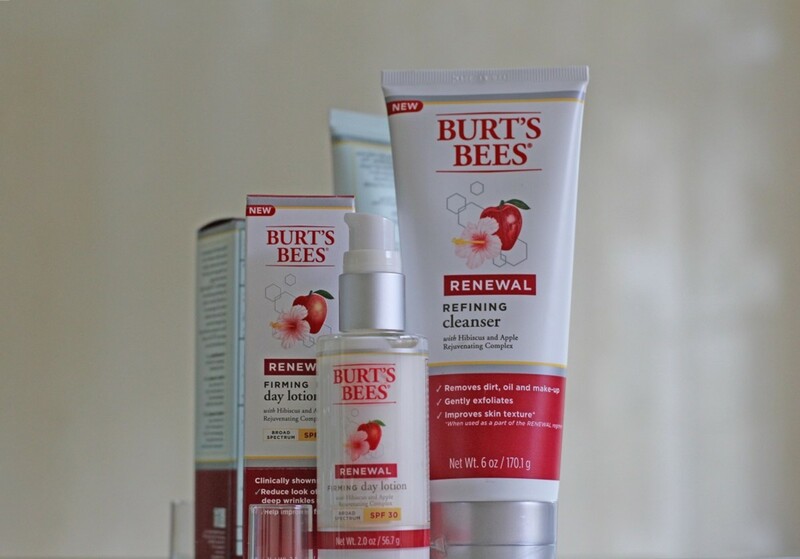 Burt&apos;s Bees Renewal Face Care line is super easy to find in the beauty section at Walmart and products range from $9.99 to $19.99. You can save $3 off any one with the Burt&apos;s Bees coupon featured here.